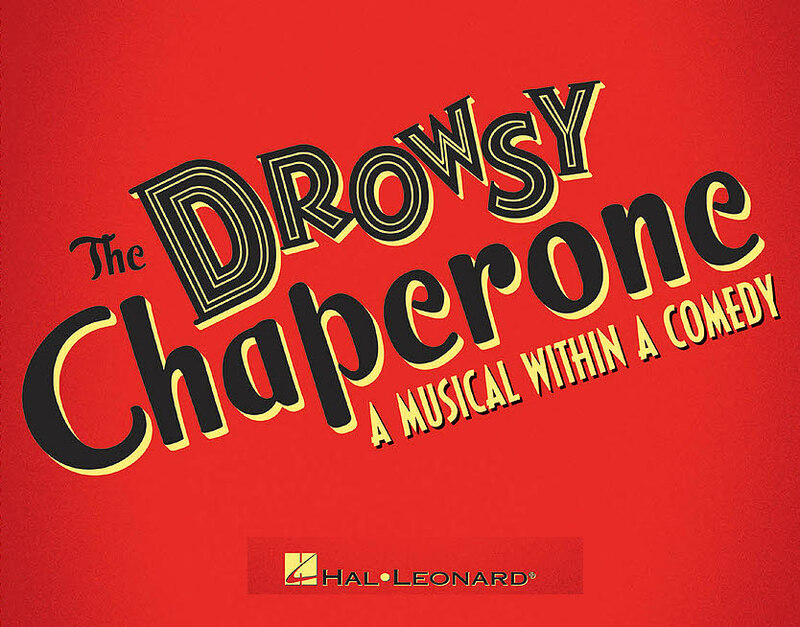 A modern day musical theatre addict known simply as the ‘Man in Chair’ drops the needle on his favourite LP and from the crackle of his hi-fi, the uproariously funny 1928 musical magically bursts to life on stage. The “show within a show” tells the tale of a Broadway starlet’s wedding day and how it is complicated by a motley crew of zany guests, including a gin‑soaked chaperone assigned to keep a watchful eye over the bride. It’s hard to believe that the cast of this highly accomplished show are aged 18 and under – any qualms about their ability to portray the vast array (and ages) of characters is dispelled the moment Ryan Hunter as Man in Chair takes to the stage, impeccable American accent in place and with a characterisation that would put more seasoned performers to shame, he takes us back to 1928 and into the tale of his favourite musical The Drowsy Chaperone. Hunter never leaves the stage for the entirety of the show (including the interval) and his focus never wavers throughout – the only pity is that it would have been nice to find out if his voice matched his considerable acting skills. Stand out among the cast is Ronan Burns as Robert the starlet’s groom – with a pitch perfect golden age of Broadway voice and even sharper footwork, he is deserving of the title Young Scottish Musical Theatre Performer of the Year which he won against stiff competition (his leading lady being one of them). In true “”show must go on” style, principal Janet Van De Graff (Erin Hair) had lost her voice that morning and would act the part which would be sung from the pit by Morgan Harrison, a young woman whose voice on hearing is so stunning you would question the decision to have her hidden in the chorus in the first place. Credit must go to both actors who seamlessly accomplished this difficult feat. The leads are ably supported by a cast of colourful characters chief among them Adolpho (Dylan Wood) milking all the laughs he could from the caricature comedy foreigner role. If any criticism is to be levelled at all then it is with the musical itself – the plot starts off thin and only gets thinner and eventually ends up as a series of set pieces of uneven quality and style that are merely there to give everyone in the cast their moment in the spotlight – while this might be a great idea for a showcase it makes the storytelling rather uncohesive. The Dance School of Scotland has an enviable reputation for producing the highest quality West End performers – indeed, many of the Scottish performers interviewed for this blog have passed through its doors. The show’s faults are minor in the scheme of things. This is a stunningly accomplished cast in a highly entertaining show and it’s a chance for the audience to say in years to come that you saw them here first.